As the wedding planning is underway, the hen party is getting organised and there’s a lot of excitement flying about,your bride will be stressed. Whether it’s your best mate, your sister or even your brother’s fiancé, if you’re the maid of honour it is your duty to keep the bride happy and as de-stressed as possible! To give you a helping hand, here’s 8 ways to keep the bride happy when she might feel like having a mini meltdown (we’ve all been there). Okay, so this one might sound obvious but it has to be said – organisation is key when it comes to getting together a gang of giggling girlies. With all the excitement of the build-up, things can easily get left til’ the last minute or overlooked. 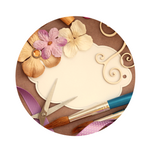 An easy way to cover all your hen do elements and keep organised is a list. 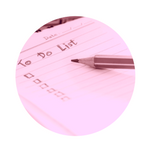 You can either create your own, or grab one of our free hen party checklists to help you along the way. Don’t feel like all the organisation is on your shoulders! If you need a bit of help, don’t be afraid to ask someone, even if you choose to get it organised by a party planner. No matter what anyone says, everyone loves a good ol’ surprise. With that in mind, think about some sweet little surprises that your bride to be would love. Out of all the 8 ways to keep the bride happy, this one is sure to get an instant smile out of your hen. From small must-haves like a hangover kit to blindfolded lead ups to their favourite place to get cocktails, any little surprise will be worth the extra planning for the reaction you get – trust us. Whatever you organise, it’s bound to already be personalised to what your bride loves, after all it is her last night of freedom. However, why not get creative and really personalise the decorations, accessories, fancy dress, food, drink or anything you can get your hands on. Classic ideas like cardboard cut-out masks of the groom are super simple and easy to do and are sure to get a laugh from your blushing hen. 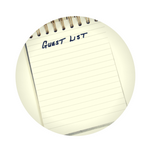 Even though you’re the person in charge of the hen party, asking your hen about the guest list is probably the most important out of the 8 ways to keep the bride happy. Make sure to ask her who she wants to celebrate with, and who she definitely doesn’t want around on her special day. This will avoid any tension and awkwardness, so all the loved guests can enjoy their day, night or weekend and make some killer hen do memories. We know that this doesn’t apply to everyone, but for the most part the booze is the main accessory of any hen night out. The main element to this is keeping your bride to be in constant supply of the stuff. 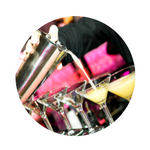 Cocktails, shots, champagne – the works. This is the time for her (and you) to let loose and forget about all the tiny details of wedding planning. We recommend getting yourself a booths and drinks package so the good stuff is sorted for the night. If you’re already a pro at hen party planning and you’re already on your third one this year (we salute you), you know full well that not everything will go to plan. With so many moving parts and tiny details, this is totally normal and won’t ruin the overall celebration for your bride. However, executing the overall hen party is one of the easier of the 8 ways to keep the bride happy. To make sure the activities and experiences are well executed, we highly recommend you make yourself a quick itinerary. If you’d really rather not make your own, our parties come with a special VIP Events Area for you and your group – complete with an itinerary for you and all the guests to check out. 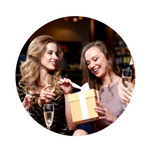 Other than that, making 100% sure that everyone arrives on time and/or doesn’t spoil any surprises is a sure-fire way to a well-executed hen do. All in all, as long as your bride to be loves you and the people who are invited, she’s sure to be happy no matter what you have planned. You know what they say, the company is the best part!